Amustus Ranch sits on top of a hill looking out over the beautiful Hill Country, only a few miles down from Pedernales State Falls Park. 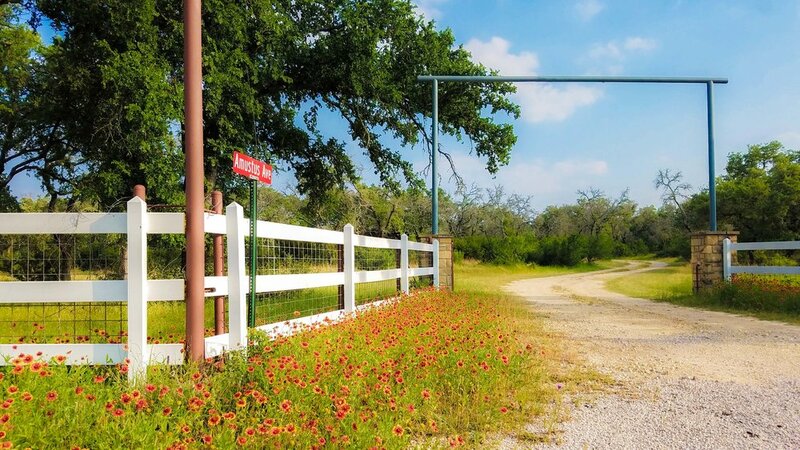 The Ranch is rich natural beauty, with Texas wildlife, wildflowers and trees. 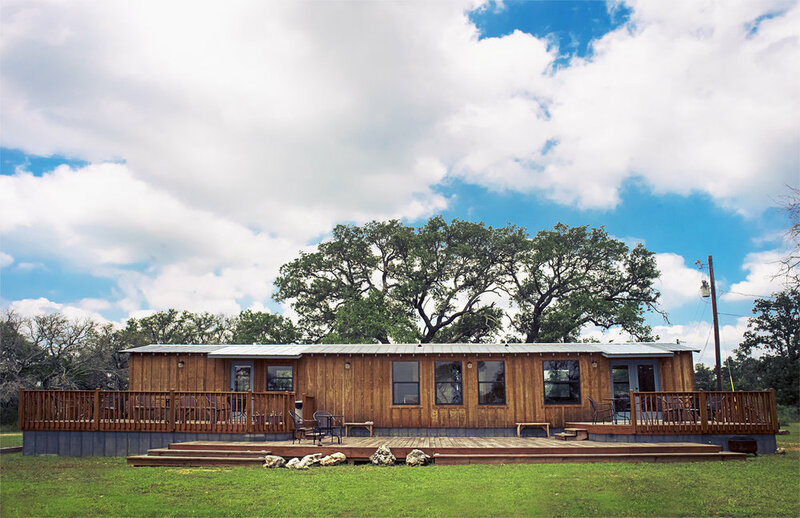 Sitting directly on top of the hill is our main building, which has a full kitchen, bridal suite, and a huge 60 foot deck over a beautifully maintained Hill Country backyard. This area is very versatile, for either ceremonies or receptions. The deck is perfect for large dinners or live band at the reception, and the yard makes a beautiful ceremony area for parties of up to 200 people. 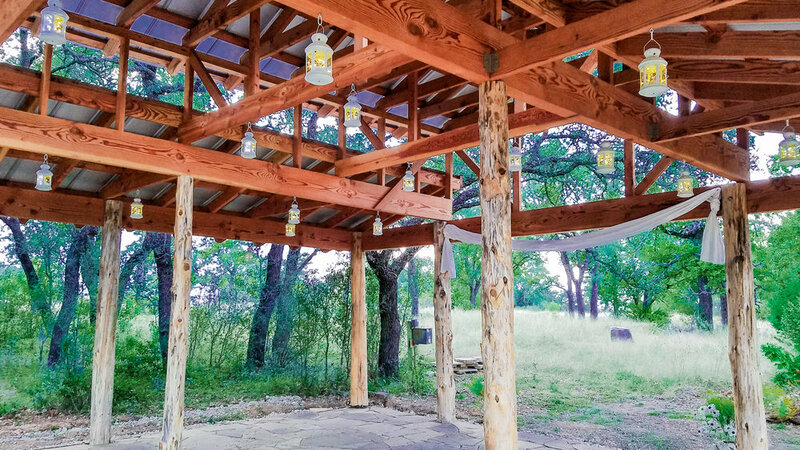 Only steps away down a path is our rustic pavilion, nestled into the trees and Hill Country nature. 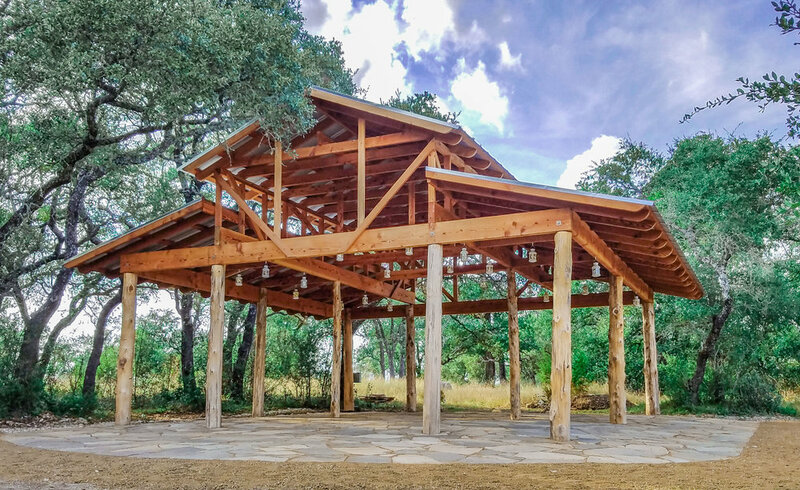 Floored with big beautiful flagstone, lit by sparkling lanterns, and constructed with raw cedar, this outdoor building blends perfectly into it's beautiful surroundings. This area is ideal for ceremonies of up to 150 people, or as a main reception area with plenty of area for dancing and catering. 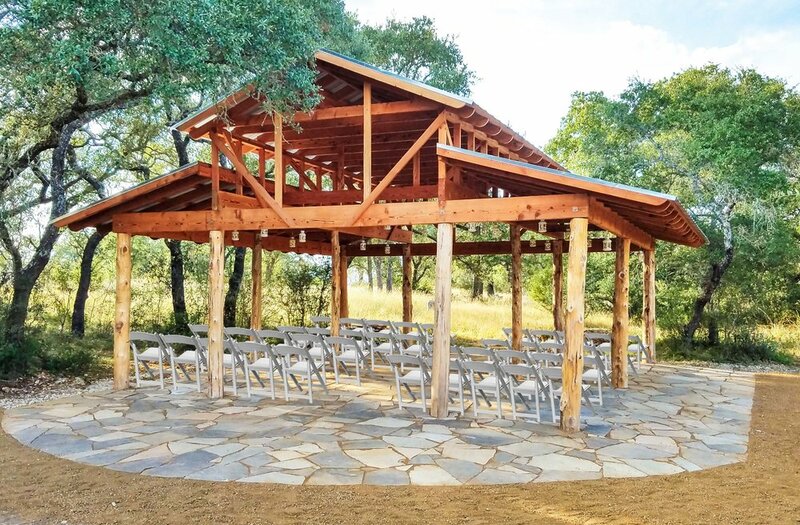 Apart from our two buildings, there are many amazing areas throughout our 40 acre ranch for more intimate ceremonies or photos. Additionally, we have access to 750 acres of Texas Hill Country via our family ranch which neighbors Amustus Ranch to the North. 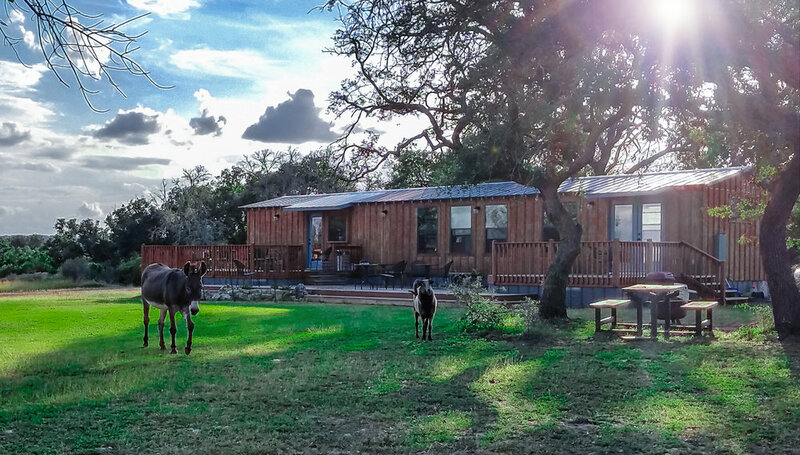 Our family ranch has a few dozen longhorns, a lake & lots of amazing nature. Please send us an e-mail at amustusranch@gmail.com for more details or a tour!